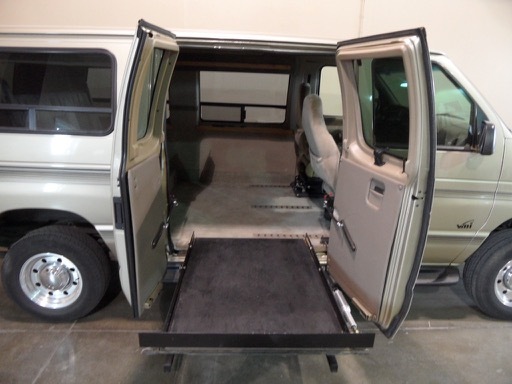 * Braun UVL (under vehicle lift), which is the absolute best of the best of wheelchair lifts. 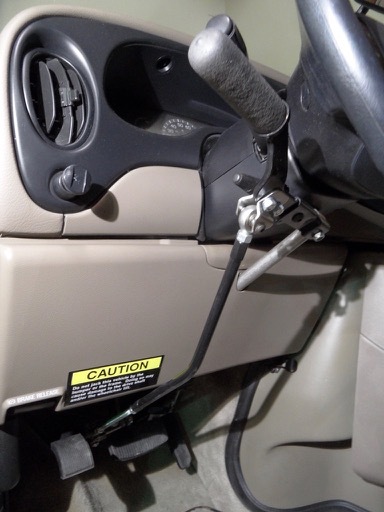 These lifts are in less than 10% of all vans, which is due primarily to the fact that they are so darn costly....apx $11,000 installed price ! 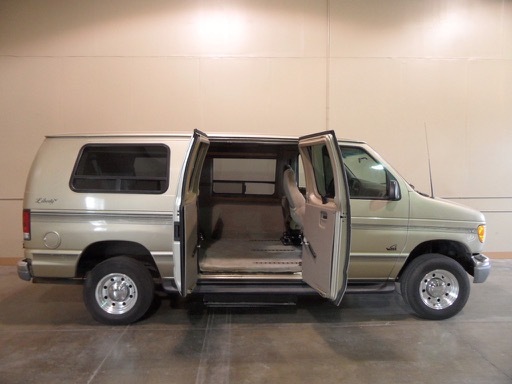 This unique style of lift creates no door blockage, has a long/wide platform, is quiet, has capacity of 800 pounds (most lifts in personal use vans are 600). Notably, I get calls and mail from folks who say they will only buy a van with one of these lifts in it. * Lowered floor, which goes all the way to below the dash, on both sides! Few vans have this design. 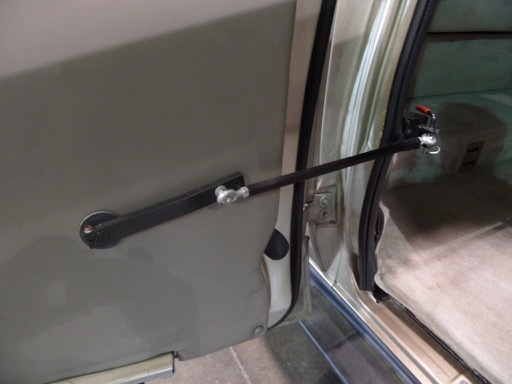 It's amazing how much difference the entry clearance and interior headroom is increased by this feature. 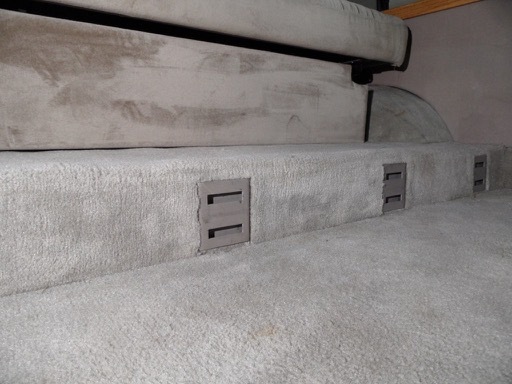 When looking at the depth of the ledge in front of the rear seat, it may not seem like its lowered very much, but it results in HUGE benefits to the user. 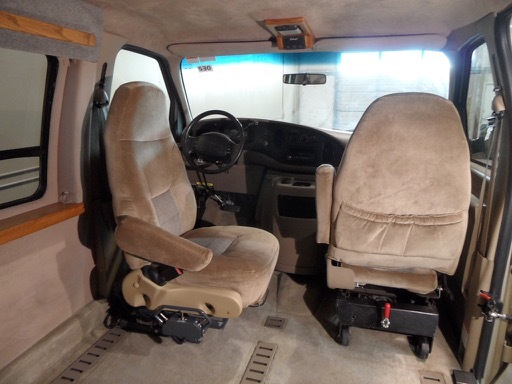 For one thing, it allows enough space under the steering wheel if a person wants/needs to drive from their wheelchair. And of course, it makes the side entry overhead clearance and interior headroom sufficient for most people and their wheelchairs. * Well designed quick-release front seat mechanisms. It only takes a minute to get either of them in or out, if desired or needed. * Includes 4 anchor straps for securing wheelchair. * This likely will have wireless remote control to operate the power slider and lift. 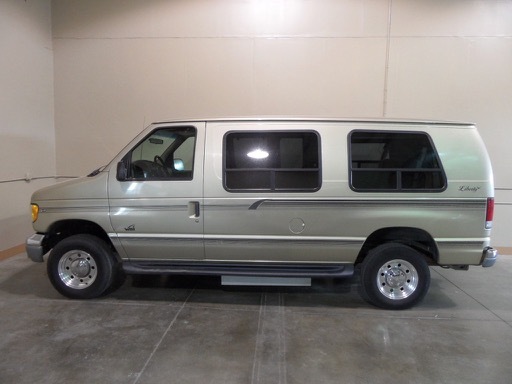 It does have controls by slider door and back doors. 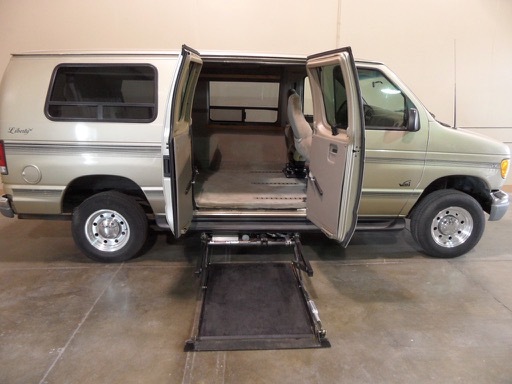 Power turning seat has a new cost of 4-5 thousand dollars and is a device that greatly benefits the usability of this van for many folks in wheelchairs and their families. 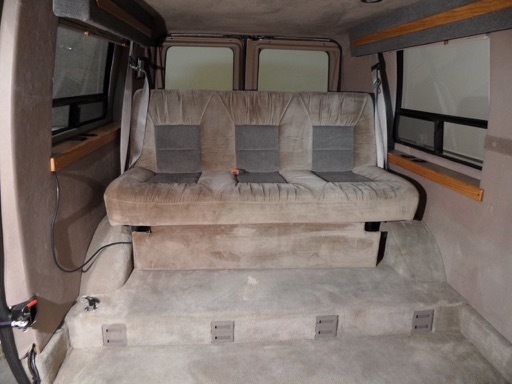 Rejuvenation has begun: I have recently acquired this van and the extensive rejuvenation process has begun, which is carried-out by various professional shops and specialists. 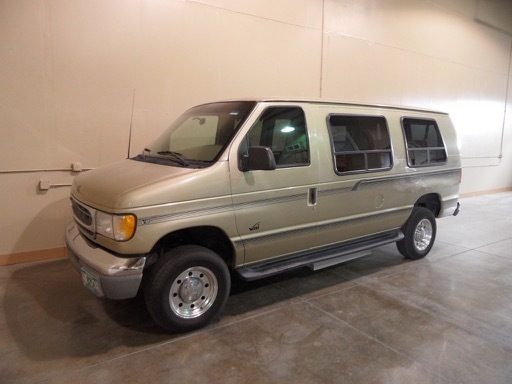 If you are interested in securing this van for your future purchase (many of my vans are spoken for in this way prior to completion of rejuvenation) please feel free to call or mail me with any questions.